Von Deutscher Seele by Hans Pfitzner. Beautiful all the way through. Here is an article about it putting it in better perspective with Pfitzner's controversial and complicated response and actions while living under the Third Reich. 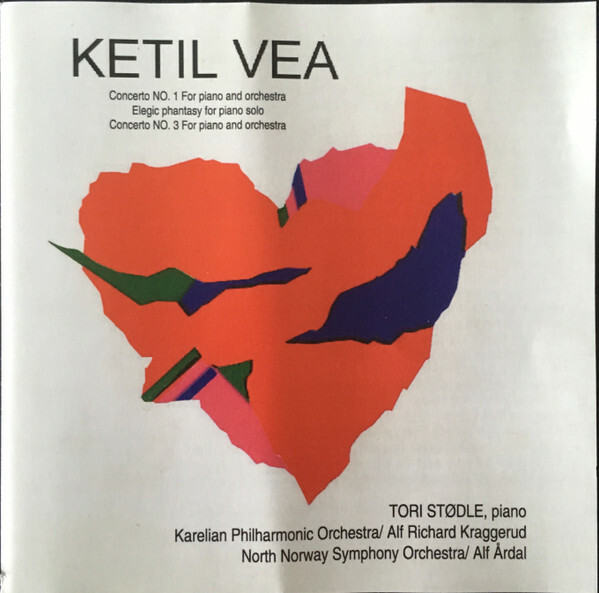 IMHO an unprecented approach to Norwegian folklore beautifully played by Karelian orchestra. Found some music on YouTube by Nicolae Branzeu, and also a violin concerto by Eugen Cuteanu, enjoyed it a lot. On now. Cd 1 of this 3 cd set. The Martinu symphony,much as I love it,was a bit much at circa,midnight,after a lager;so I put this on,instead. I got this & the early,Alan Rowlands set of John Ireland's piano music,coutesy of Lyrita's Black Friday 50% off sale. These recording made between 1959 and 1965,are in mono,but wonderfully atmospheric. These were originall released on 3 Lp's & are amongst the earliest Lyrita issues. A fourth Lp of shorter pieces was never released,for some reason;and this box set,provides the first opportunity to hear them. The recordings were made in Richard Itter's music room. Iris Loveridge really gets to the soul of this music like no other,imho. The mono tape recordings only add to the atmosphere of some of the more introverted,gloomy pieces. I do find it strange that there is nothing about the pianist in the booklet provided. Yes,you can find out about her online;but it does seem an odd oversight. Iris Loveridge isn't exactly a household name these days,and I think it would have been nice to have written something about her. Anyway,perhaps there is some,justifiable reason for this? Grumbling aside,this is a wonderful release. I love Bax's piano music,and I wouldn't be without this set. It might even be my first port of call,for this,oft overlooked,aspect of Bax's prolific output. The mono sound is very clear. A slight,background,tape hiss audible. Great tip, many thanks! Found some music by him - and an interview - on Youtube. ...BUT I am simply bowled over by Arnold Rosner's Symphony No.6 on a new Toccata cd. It is a work of extraordinary dramatic power, frequently extremely violent and angry music ("volcanic ferocity and vehemence" as Toccata describes it) but also of hieratic grandeur and magnificent, dignified eloquence. To my ears the work far exceeds Rosner's youthful hero, Alan Hovhaness. Alongside the swirling waves of exciting and shocking power there is a glorious, modal beauty which makes this Rosner's magnum opus....in my opinion at least. I know that Rosner and his great friend and advocate, the musicologist Walter Simmons (who was the executive producer of the cd) hoped that one day the symphony would be recorded and, although the composer is now sadly deceased, Toccata has done him proud. The Nocturne for orchestra-which is also on the cd-is a short but equally spell-binding piece....but the symphony! Wow!! I forwarded my comments on the Rosner cd to Walter Simmons for his interest. Walter has replied to say that he in turn sent what I wrote to Rosner's sister who apparently is "deeply moved" by them. I do think that in this time when we can communicate with others across the world so easily it is worth taking a few minutes to thank those whose work as composers or performers or as facilitators have made it possible for us to enjoy particular music. They appreciate this so much and are so grateful for the thanks offered. I was listening to the Somm cd of Roger Sacheverell Coke's Piano music,all morning. I wasn't convinced by his Piano Concertos,sadly! (More fool me,I suppose?!!) But I think his solo piano music is excellent. I really enjoyed listening to it. I think it is well crafted,imaginative music. I also remember enjoying his Violin Sonata No1,on the EM label;which I have lined up,to listen to later. Is there any hope of any more recordings,of his instrumental or (and) chamber music,I wonder? William Mathias Symphony No 3. I enjoyed the music on this,Nimbus,cd so much;I ended up buying the Lyrita cd,of the Harp,Clarinet & Piano concerto No 3 (which I did once,own!) and the Somm cd of Piano concertos 1 & 2,and the VW Fantasy for Piano and orchestra,this afternoon! More expense!! And there I was,determined to resist,any more cd's!! Roger Sacheverell Coke Violin Sonata No 1. Yes,I,must admit,wasn't exactly,bowled over by his Piano Concertos;but this is excellent music. According to the,truly,admirable,booklet notes (and I love the photographs) with this EM cd;most of Coke's chamber music has survived (unlike,allot of his other music). Is there any chance that any more of it will receive recordings? Unsurprisingly,I'd love to hear the Violin Sonata No 2,for example! the Complete Piano Works of Chopin on the Naxos label. Nielsen symphonies conducted by Bernstein and Ormandy. From the Sony box set of the symphonies,and some other orchestral works. I actually hadn't heard the Flute and Clarinet Concertos,before!! I bought this set after reading a post,from Mirror Image,at the GMG Forum,extolling the qualities of Bernstein's recordings of Symphonies 3 & 4. I've never been that mad about Nielsen. Not that I didn't like his music! I just didn't return to him,that often! The exception was,the Fourth Symphony,which I got to know,as a youngster,via Alexander Gibson's recording,on an RCA Lp. A performance which is,apparently,still rated,very highly,by some. I had the Ole Schmidt cycle on Unicorn,for a long time. Some people like them;but they seem to have done little for me! After reading,MI's post,I looked for a copy of Bernstein's 3 & 5;but the prices sellers were asking,were too high for me. So,I bought this,4 cd set,instead! Needless,to say,I am now a complete convert to the Nielsen cause!! This morning I was listening to one of the great 9th symphonies ... Haydn's! Seriously, when did you ever hear this in the concert hall? I have an idea that fun concert would be a first half consisting of Haydn's 9th and Mozart's 9th, and then Beethoven's 9th after the interval.